If you need a quality facility to hold your corporate function, convention or family celebration, why not talk to us about the options provided by the hire of our Centre. It has 2 rooms one with the capacity to seat up to 150 and one with a capacity of 50 and we also have audio visual equipment access and a commercial kitchen available. 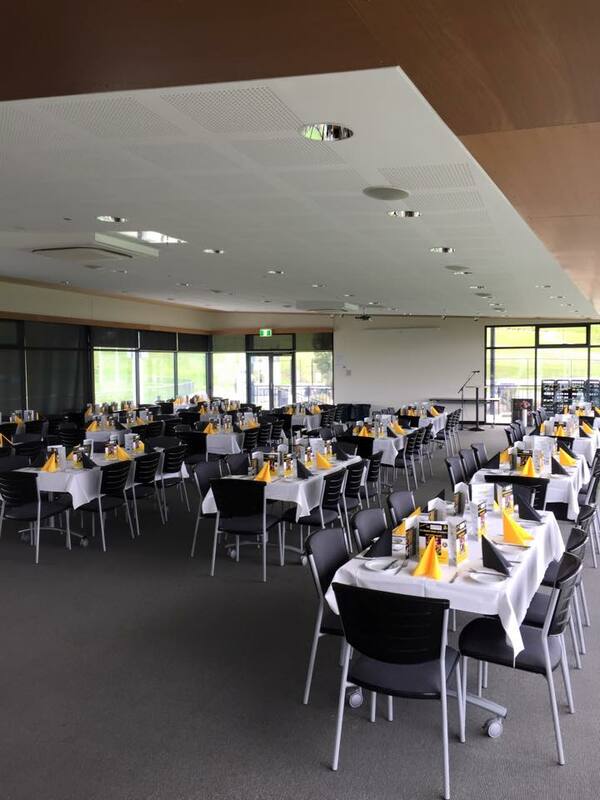 The Kingborough Tigers Football Club Manage the Facility between March – September, Contact Rodney Herweynen info@tigersfc.net.au or 0418130193 outside of those dates please contact The Kingborough Knights Cricket Club.